Why doesn't my whole class get my assessment? 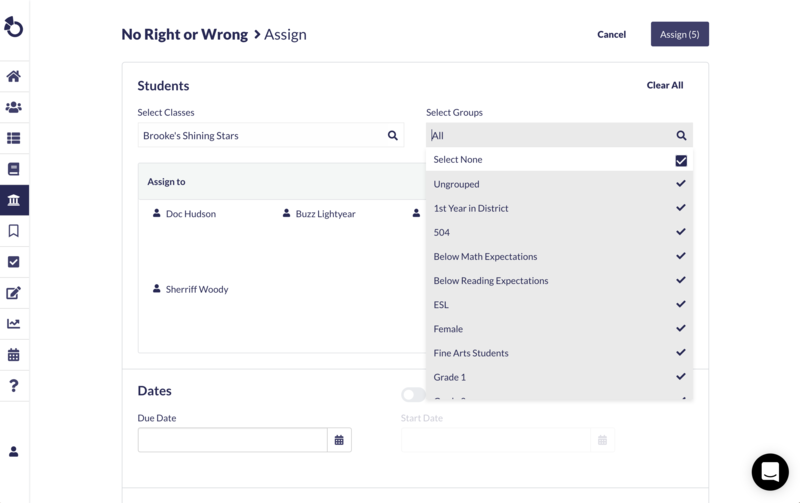 The first thing you want to check to make sure all students in your class are getting your assessments is your class roster. From the home page, click on the class you're trying to assign to. Are there student's on your roster who are not receiving the assessments? If so, try assigning the assessment with all of the "Groups" checked off when assigning. If you're able to see the missing students on the final list of students, that means that the groups you were using, most likely the grade level group, isn't attached to the students that didn't receive the assessment a second time. 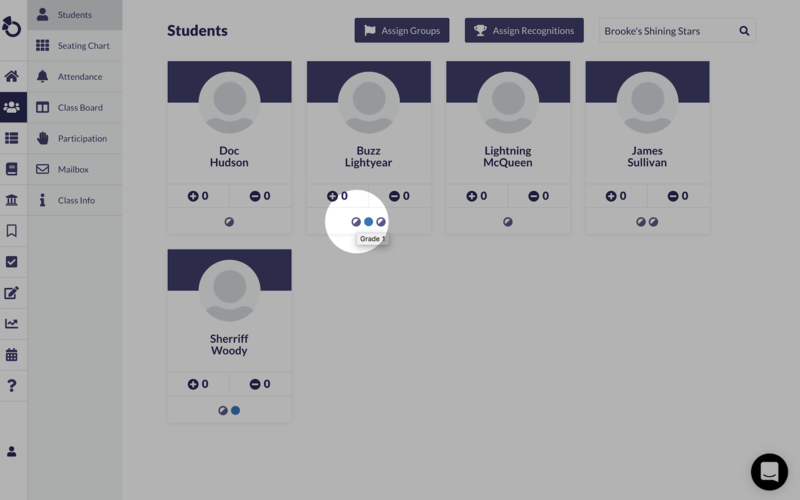 Find the students in your roster, and hover over their group (colored dots) to make sure they are attached to their grade level group. 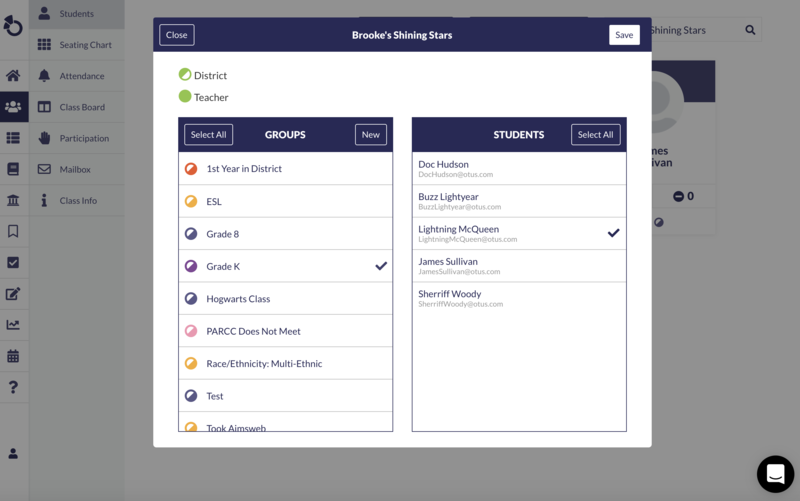 If they are not, you can add the grade level group at the top of the Class view. 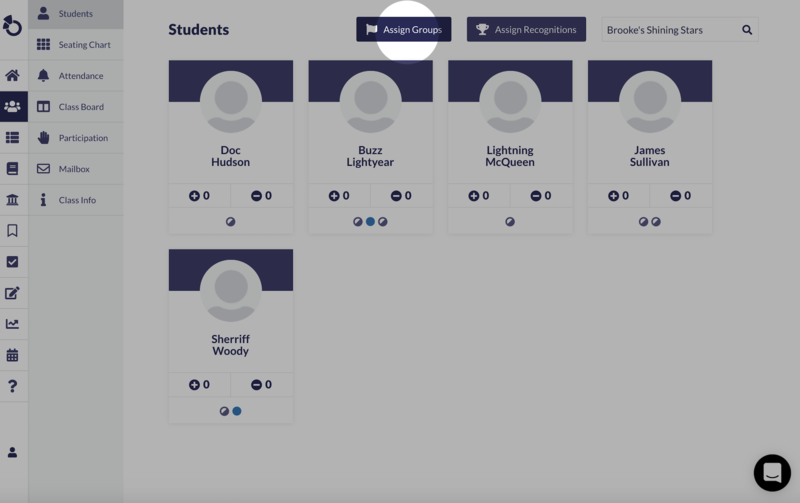 Click Assign Group, and select the appropriate student and group. Click Save. If you go through these troubleshooting steps and are still not able to assign to certain students in your class, reach out to us using the chat tool in the bottom right corner of your screen, and we'll be able to help troubleshoot.